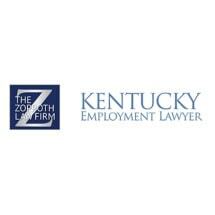 Based in Louisville, Kentucky, Kentucky Employment Lawyers serves clients across the state in a variety of claims, ranging from wrongful termination, discrimination and sexual harassment to wage and hour disputes, severance negotiations and workers' compensation retaliation. We offer free initial consultations at our law office and by telephone to individuals who have suffered wrongdoing in the workplace and to those who are negotiating employment contracts and/or severance agreements. Our attorneys have had significant successes in securing the maximum compensation for our clients. We have assisted thousands of clients throughout the state with their employment claims against some of the largest employers in Kentucky and throughout the country. Our personal commitment to each and every client we represent. In fact, your case will be handled personally by the attorneys you see identified on our website. Our attorneys have been selected for inclusion in Super Lawyers each year since 2015 and have been nominated numerous times as "Top Lawyers" in Louisville for their fields of practice. We are proficient in arbitration and other alternative dispute tactics. Perhaps one of the most important items we offer clients is a team of attorneys who truly care. Our law office is known for compassionately guiding people through their legal needs. At Kentucky Employment Lawyers, we are dedicated to the clients we represent and strive to provide them with customized solutions to fit their legal needs.